RVNL Recruitment 2019 - Job notification for DGM/ SM Post in Civil Engg. Deptt., RVNL, Lucknow, Uttar Pradesh on Deputation Basis. Applications are invited by Rail Vikas Nigam Limited on or before 13 Mar 2019 for 1 vacancy. Preference Will Be Given To The Candidates Having Construction Experience. Eligible candidates may send their application in prescribed format to Corporate Office/RVNL, New Delhi or email. shailendra.modi@rvnl.org on or before 13 Mar 2019, along with Vigilance/DAR Clearance AND APARs. RVNL Recruitment 2019 - Job notification for Addl. General Manager (Elec) Post in RVNL, Chennai, Tamil Nadu on Deputation Basis. Applications are invited by Rail Vikas Nigam Limited on or before 30 days from the date of issue for 1 vacancy. RVNL Recruitment 2019 - Job notification for DGM (Civil) Post in Department of Civil Engg., RVNL, Izzatnagar, Bareilly, Uttar Pradesh on Deputation Basis. Applications are invited by Rail Vikas Nigam Limited on or before 27 Apr 2019 for 1 vacancy. RVNL Recruitment 2019 - Job notification for AGM/ JGM (Elec) Post in IRSE/CIVIL Engg. Deptt, RVNL, Lucknow, Uttar Pradesh on Deputation Basis. Applications are invited by Rail Vikas Nigam Limited on or before 27 Apr 2019 for 1 vacancy. RVNL Recruitment 2019 - Job notification for AGM/ JGM & SDGM/ DGM Posts - Civil in IRSE/CIVIL Engg. Deptt, RVNL, New Delhi on Deputation Basis. 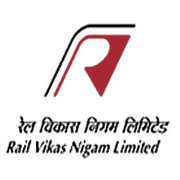 Applications are invited by Rail Vikas Nigam Limited on or before 24 Apr 2019 for 2 vacancies.